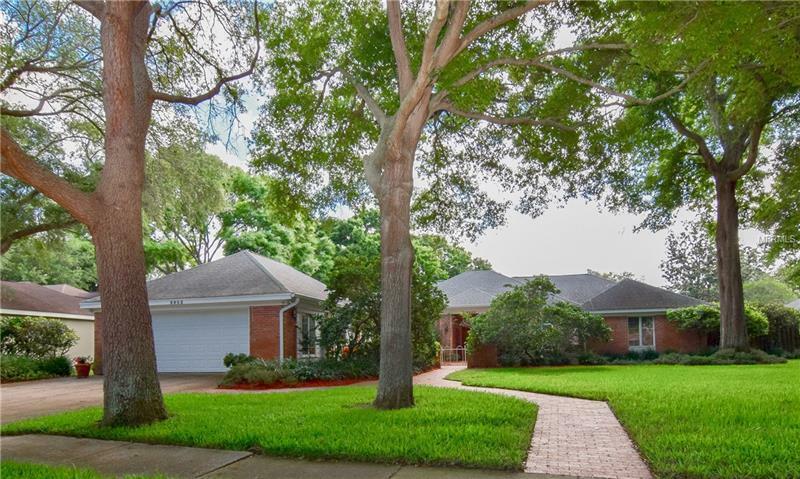 SIMPLY BEAUTIFUL 4BR + STUDY SEMINOLE POOL HOME IN THE DESIRABLE WINDTREE OAKS NEIGHBORHOOD! This timelessly beautiful home radiates curb appeal with a paver walkway, an oversized courtyard, and a grand double door entry! Inside this home, the chefâs kitchen features an expansive center island with cook top, double oven, loads cabinet space, breakfast bar and a sunny terrarium window. The inviting living room features crown molding, a cozy wood-burning fireplace and access to the covered lanai through the beautiful sliders. Thereâs also a formal dining room thatâs perfect for entertaining, plus a spacious family room with another wood-burning fireplace, a wet bar, and additional access to the pool area. The HUGE master suite features his/hers closets, sliding doors to the back lanai, plus a large master bath with a jetted tub. THE FABULOUS BACKYARD PARADISE PROVIDES A PRIVATE RESORT-LIKE SETTING WITH A SPARKLING IN-GROUND SCREENED POOL & SPA, surrounded by mature privacy hedges and landscaping, fed by a well-irrigation system. The convenient pool bath and outdoor kitchen make outdoor entertaining a breeze. Updates include roof in 2003, 2 Trane HVAC systems in 2006, new pool cage in 2008, hurricane garage door in 2018. The paver patio and resurfaced pool were both completed in 2015. Located close to schools, shopping & gorgeous Gulf beaches, this home is not to be missed!